Some of the best 4H fundraising ideas take very little effort yet bring in loads of profit. There are endless ideas that are both fun and profitable! 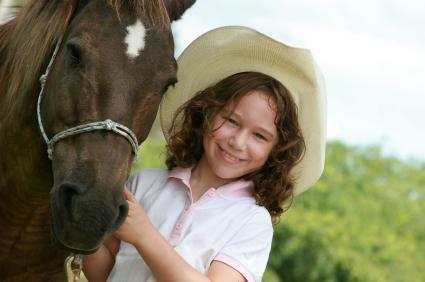 The 4H Club is a nonprofit organization devoted to youth development. The organization focuses on the following four areas of development: head, heart, hands and health. The club is sponsored by the United States Department of Agriculture (USDA) and is one of the largest youth-oriented organizations in existence. The club offers programs in areas such as home economics, agriculture and nutrition. There are chapters across the United States as well as around the world. The club's logo is a green four leaf clover with an H on each leaf. Many 4H clubs also hold fundraisers to help support local charitable organizations such as animal shelters and other nonprofit groups. All the money raised at these types of fundraisers is donated to a worthy cause. Working on fundraisers helps members acquire financial and sales skills and learn how to work together as a team. Participating in fundraising activities is also a great way to gain insight into planning and organization as well. Raffles are an easy way to raise money. Gift certificates and products can be donated from local businesses and arranged in a gift basket that will be raffled off. All members need to do is sell raffle tickets for a chance to win. The more tickets sold, the greater the profit. Some of the best 4H fundraising ideas are unique to the particular chapter and location of the club. For example, if the club is in an area that has an annual county fair or festival, setting up a booth and selling concessions is a great way to raise money as well as get the word out about your club. Another idea to consider is holding a rummage sale. Ask members and their families to donate unwanted items and sell them at the rummage sale. Be sure to advertise in advance so that community residents are aware of the sale. A larger type of fundraiser is hosting a special event such as a dinner and auction. This type of fundraiser requires much more work and planning than other activities but may bring in the most profit. When planning a fundraiser, always have a specific purpose in mind for using the funds being raised. The club should have proper identification so that donors can easily know who they are supporting. Proper organization and planning are essential to the success of any fundraiser. Always have a person in charge of collecting the money and someone in charge of overseeing the fundraiser.